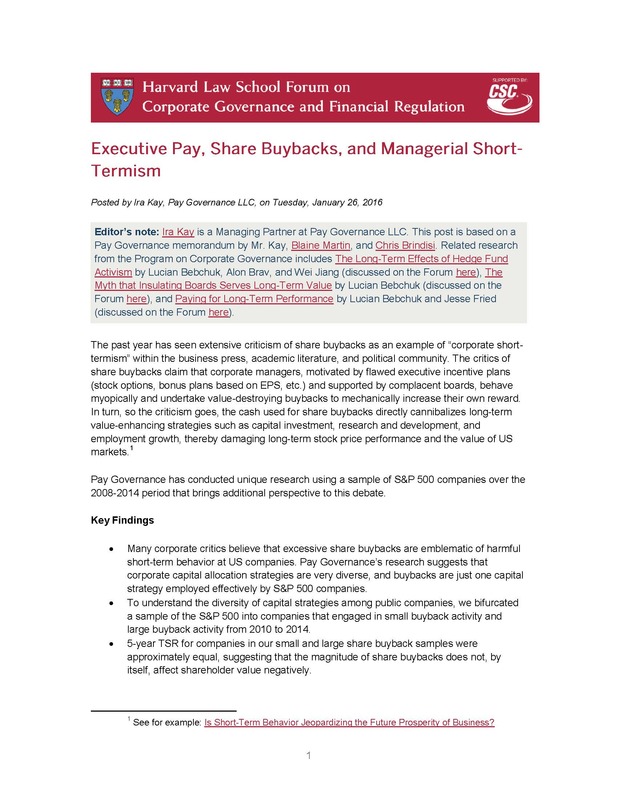 The past year has seen extensive criticism of share buybacks as an example of "corporate short-termism" within the business press, academic literature, and political community. The critics of share buybacks claim that corporate managers, motivated by flawed executive incentive plans (stock options, bonus plans based on EPS, etc.) and supported by complacent boards, behave myopically and undertake value-destroying buybacks directly cannibalizes long-term value-enhancing strategies such as capital investment, research and development, and employment growth, thereby damaging long-term stock price performance and the value of US markets.